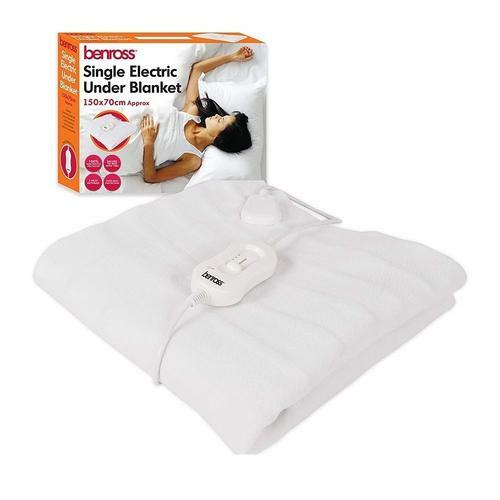 This fantastic electric under blanket keeps you warm and comfortable with three different heat settings, allowing you to choose how hot you want it. Attached ties secure the underblanket to the bed meaning it wont slide off in the night. Over heat protection means the blanket cuts off if it gets too hot meaning you can sleep safely. A detachable power cable adds to the comfort and safety of the product.